1. 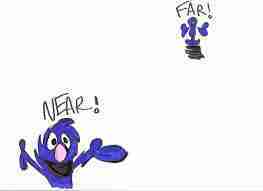 FAR is mainly used in the interrogative and negative forms. - Is the hospital far? No, it isn't far from here, just a five minutes' drive. 2. A) In the affirmative form, it's better to use a long way (away from). - The petrol station is a long way away from here and I have to walk there because my car has broken down. B) Yet, FAR may be used in the affirmative form after TOO, SO, and AS. -You've gone too far, you must turn around. - by far + superlative = She's by far the best player in the team. 4. 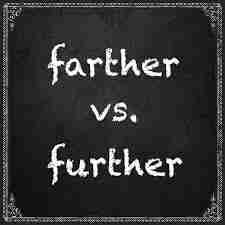 The comparatives and superlatives of FAR. When speaking about a literal, concrete distance, the comparative is FARTHER...THAN... and the superlative is THE FARTHEST. - Mary's home is farther away than Claire's (home) from school. There you are! In the following exercise, you'll simply have to choose the right form! Go for it! 1. You still have a long wayfar tofartherfarI don't know go if you want to be the champion! You'll have to train and train again! 3. Oh no, Mom, I can't walk that a long wayfarfurtherfartherI don't know ... I'll take my scooter, it'll be less tiring. 4. At the crossroads, you'll see their house. Their office is a little farthestlong wayfarfartherI don't know away on the right. 5. If I explained this text fara long wayso farfurtherfurthestI don't know , I'm sure you wouldn't be interested. 6. Is the post office that farfar tofar fromso farI don't know here? No, it isn't. But if you prefer, you have a letter box round this corner. 8. Everything's fine far fromfar tootoo farso farI don't know ! The two parties have made concessions... There'll be an agreement. 9. The station isn't far awayfartherfar tofar fromI don't know my house, but I can drive you there if you prefer. 10. He's fartherfar tooa longer wayfar olderI don't know than you are. Therefore, he has more experience.